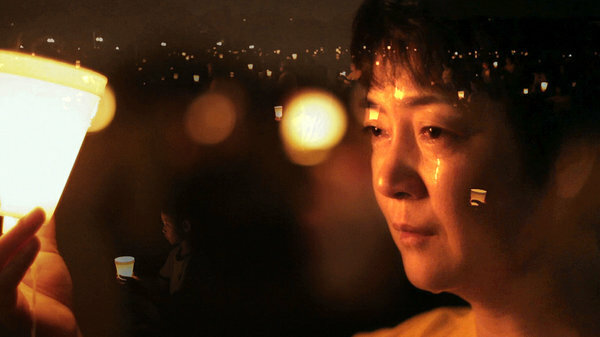 Short in minutes but long on ambition, the stirring documentary “Free China: The Courage to Believe” expects viewers not only to feel but also to act: it ends with a three-point guide for how audiences can help counter the Chinese government’s persecution of practitioners of Falun Gong. A spiritual movement, somewhat a combination of the traditional exercise qigong with Buddhism and Daoism, Falun Gong is depicted as so popular that it threatens a paranoid Chinese bureaucracy, and so admirable that it’s earned the support of Charles Lee and Jennifer Zeng, the interview subjects at the heart of the film. Both project a radiant good will; both tell of being imprisoned and tortured for their beliefs. Mr. Lee is an American who traveled to his native China to stand up against government disinformation about Falun Gong; during his incarceration, he was one of many forced into labor — in his case, making Homer Simpson dolls. Ms. Zeng, who was granted asylum by Australia, offers the more wrenching account, of physical abuse and family separation so destructive that she denied her beliefs to make the reprisals stop. Their stories, unobstructed by any attempt at balance, build in narrative power, and the director, Michael Perlman, has abetted that with commentary from international observers and images of historical and contemporary China, as well as archival footage of Mr. Lee and Ms. Zeng. Usually the visuals enhance his points (particularly accusations of Internet censorship and organ harvesting), but occasionally they confuse (are we seeing reality, re-creation or footage unrelated except for its subject?). Still, “Free China” is not news, and, however moving, it’s really not art. It’s advocacy. In that aim, it is ardently committed. A version of this review appeared in print on June 7, 2013, on page C8 of the New York edition with the headline: Free China.